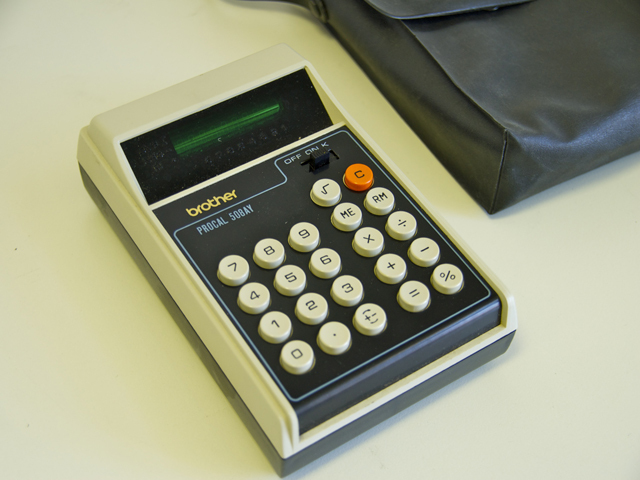 The Brother 508AY PROCAL 508AY is an arithmetic calculator with 8 digits precision and algebraic logic. It has 5 functions, 22 keys and a VFD (vacuum fluorescent) display. The power source is 4xAA batteries.